We won the game with effort and the belief that we could win. We haven't had that in many years. We made half time adjustments and started posting up Reynolds and Ona-Embo against the smaller guard which led to some inside scoring and better looks from 3. We got hot from 3 partially because the looks were in rhythm and not as forced. We also got some easy points in transition which is key for us. We didn't attack their press well at all in the first half and were still way too stagnant against the zone when they played it. 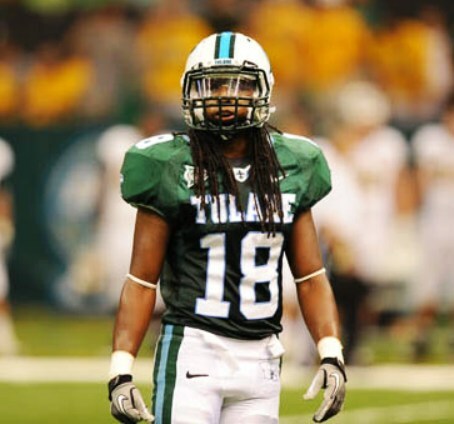 Nobody should play us man to man, but some teams in our league see Tulane on our uniforms and figure they can just do what they want. We desperately need more rebounding and inside scoring from our big men which is why Sehic should play more than Paul. Paul has been terrific blocking shots but is not a great rebounder and can't score consistently. I can't believe the freshman big guys haven't put on tons of weight yet. It's New Orleans. How do you not gain weight? You play/practice basketball for 2-4 hours every day? Stupid young guy metabolism... I drank every legal weight-gain potion and drink while eating three plates of red beans every Monday, four bowls of gumbo every Friday, and following every meal with a generous helping from the frozen yogurt machine at Bruff Commons, along with as many Streetcar Sandwiches Peacemakers as I could afford, and still couldn't get an ounce over 245 during my playing days. And from what I was told, both Ajang and Koka have the running endurance so famed from their home country, so their metabolism probably far exceeds what mine was. So basically don't let them run and make them eat Popeye's every day. Add in drinking every night of the week and you have my freshman diet. I managed to put on weight. I am excited about the team, lets face it. they are learning on the fly. the Trip abroad allowed them to get in sinc and to allow MD to assess his talent. Roto - has made some good points! Certainly Caleb make some great plays down the stretch and the free throws were critical to the momentum swing. Frazier taking the ball after a Milton 3 that tied the game late in the 2nd half, Frazer came came back with another long bomb ! he shot it with a lot of "Attitude" and "defiance"! he gave the Bench "a look" when it hit nothing but net! Like -a look that said alot "I can match Milton's bomb" / "we are better than the pony's" - or we deserve respect... whatever it was - it exemplified the determination of this team at a critical point where we would have folded in the past! Instead - we re-took the lead in the game and kept on going! it was a physical game and we returned as much as they dealt out. Great Win - still feel MBB will be jeckyl and hyde because they are a young team (playing together) but they are starting to gel. Tulane Sports Fans: we have basketball back on campus ! and it will only get better. ride the Wave! Last edited by RI WAVE on Fri Jan 05, 2018 1:44 pm, edited 1 time in total. Frazer taking the ball after a Milton 3 that tied the game late in the 2nd half, Frazer came came back with another long bomb ! he shot it with a lot of "Attitude" and "defiance"! he gave the Bench "a look" when it hit nothing but net! Yes, and as he was giving the bench 'a look' he then came to the realization that he had to get back on defence and hustled back to find his man. He does a little too much of that. Sehic had an open shot in the paint at around 1.10 with 10 seconds left on the shot clock; passed it up and Embo had to heave a 3 from well beyond circle. Take the easier look. Can see why Dunleavy likes tall guards. Doubt we'll see one in the future under 6-4 unless they are super quick point guards that can shoot. I read where we are the 20th tallest team in the NCAA...surprising since we aren't tall in the low post and use only 1 low post player at a time. I said it a couple of times already and will say it again - Daniels is terrific. What a find! He can do everything and if he was playing 30+ minutes a night, his stat line would look as good as anyone. The only play he got burned on last night was a drive to the basket where he fouled the SMU player on a made layup. But it wasn’t his fault. On the replay, MD is screaming instructions to him, he takes a peep at our bench, and an easy bucket ensued. Coach, let them play. What I saw out of Ajang was also very encouraging against Tulsa. I think he deserves more minutes and would give us a different look if we wanted to go big with him and Sehic or Paul on the floor at the same time. Also, Frazier’s body language was better last night when things weren’t going well. Keep playing kid because we need you. Isn’t it great to be talking basketball in early January? even better, with the start of conference play many of us thought we would fold like a cheap suit. Its nice to see us competitive. Frazier - I didn't say he was an "all American" player - just that he made a crucial play that was fun to watch. He plays a considerable amount of minutes and is a big part of the reason we were able to come back. - and it still was my favorite play.. that exhibited a new found confidence that will be necessary for us to continue to win in 2018. I am sure he has a lot to work on as do a lot of our players... - but I am a fan, not a coach.. and I plan to enjoy the ride. I've looked and haven't found any, hopefully someone else will have better luck. We agree for the most part but we actually are already getting good crowds based off the win at Temple. The loss to Tulsa didn't cause a big loss of crowd since SMU is a name opponent in basketball at the current time and the games were played so close in time. Memphis and UConn are down and people realize it. Memphis stopped being an automatic sell out a few years ago. So we won the key game last night. It showed Temple wasn't a fluke. You can bet the students were watching at home and can't wait to be a part of the mix. They'll be back in time for the UConn game. So now we just need to show consistency in performance and the place will be rocking the rest of the season. Very good win against a good team. As so many have already said, Daniels is very legit. Nice start to the conference season, especially considering it looks like Tulsa might be better than we thought. Let's keep it going against a Memphis team which is far inferior to most of their recent squads. pick 5 games anywhere in arena for roughly $10 to $15.75 per game. good deal. I said it a couple of times already and will say it again - Daniels is terrific. Yep. He is strong, athletic, plays good defense, has a great attitude, seems very coachable. He's an awesome addition to this team. I think of Daniels as Kain Harris with defensive skills and a much better attitude. Awesome point. Some reasonably read Dannen's "State of Tulane Athletics" letter at year-end that he planned to raise ticket prices. Others noted that you could read it that in his effort to recruit fans to attend games and develop them into engaged fans, he was going to lower prices. At least on this, it looks like the latter. I know we're biased but as an entertainment value, his pricing effectively competes with first run movies at the metroplex and is not much more than streaming from your LazyBoy. Regardless Tulane vs SMU definitely rated higher than Star Wars, Episode 52. Those same northeast students know we beat Temple at Temple so that is why I’m not overestimating at all. The Tulsa loss was the let down loss we always suffer and we never bounce back. The difference this time is in the next game we beat a team that had been getting votes for the top 25 . So we just need to perform consistently and the place will be rocking pretty good. NJ, I don’t see them the same. Daniels is a better ball handler and can shoot from anywhere with more consistency. Harris was more of a set shooter and lacked consistency. Just my opinion. Speaking of Harris, where is he today? A question for you, Pete, Doc, or Randy (the real basketball gurus of this forum), would we be in the hunt this year with Osetkowski? Also, do you see us ever going big in a game with some combination of Ajang, Paul, and Sehic? Finally, what does the staff think of Ajang, Koka, and Barrett - do any these guys have a lot of upside looking forward?